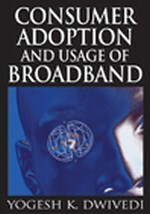 The previous chapters (Chapters 4 and 5) described the development and validation of a survey instrument for the purpose of data collection in order to examine broadband adoption, usage, and impact. Chapter 3 provided a discussion and justification of the data collection and analysis methods. This chapter presents the findings obtained from the survey that was conducted to examine the adoption, usage, and impact of broadband in UK households. The chapter is structured as follows. The next section describes the demographic profiles of the survey respondents. This is followed by a description of the findings relating to the adoption of broadband. The findings relating to the usage of broadband are then presented. This is followed by a description of the effects of broadband usage on consumers’ time allocation patterns in various daily life activities. Finally, the summary of the chapter is provided.